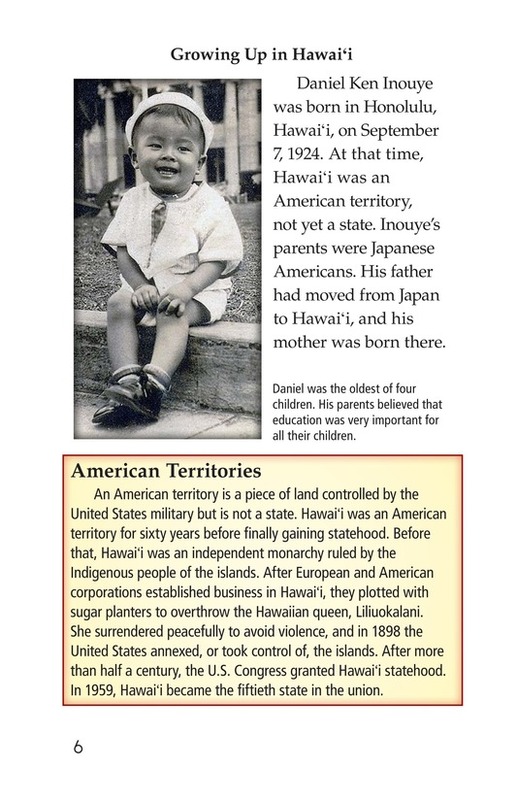 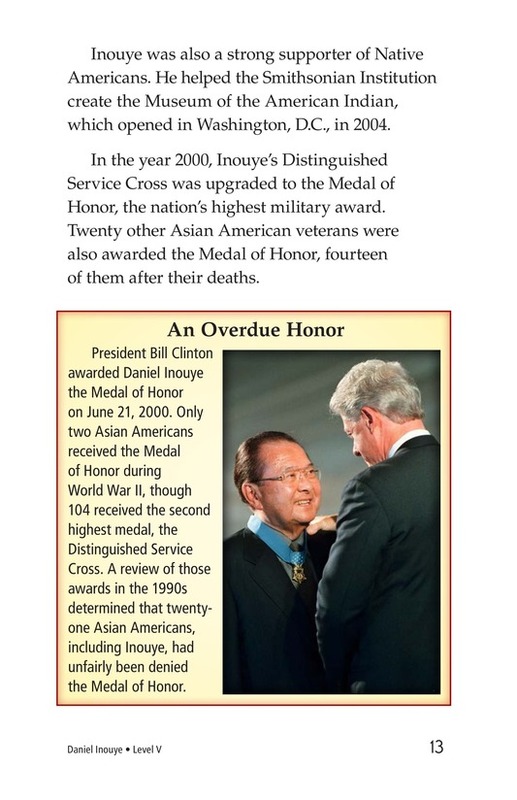 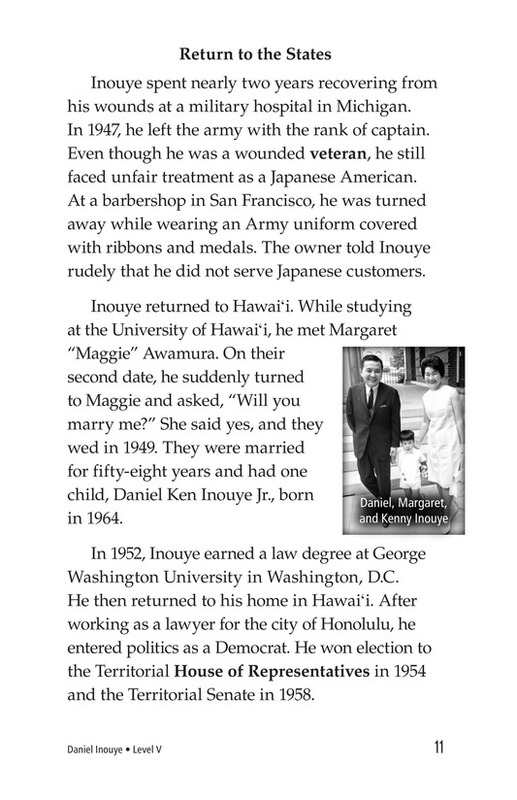 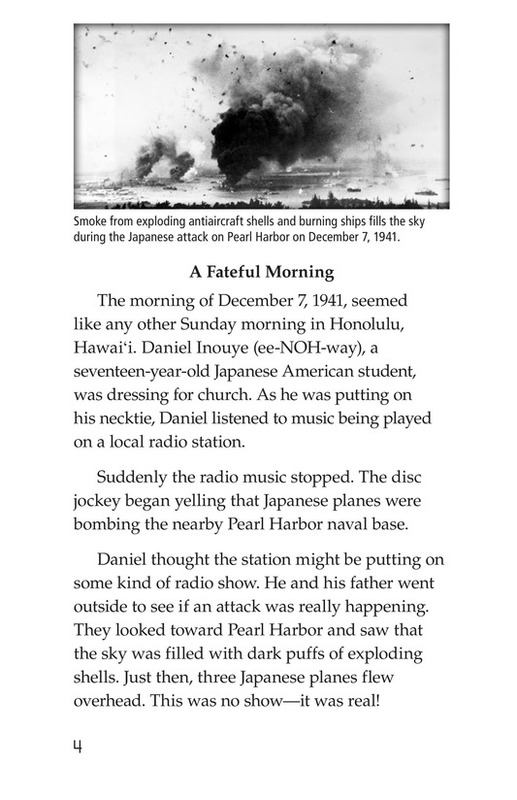 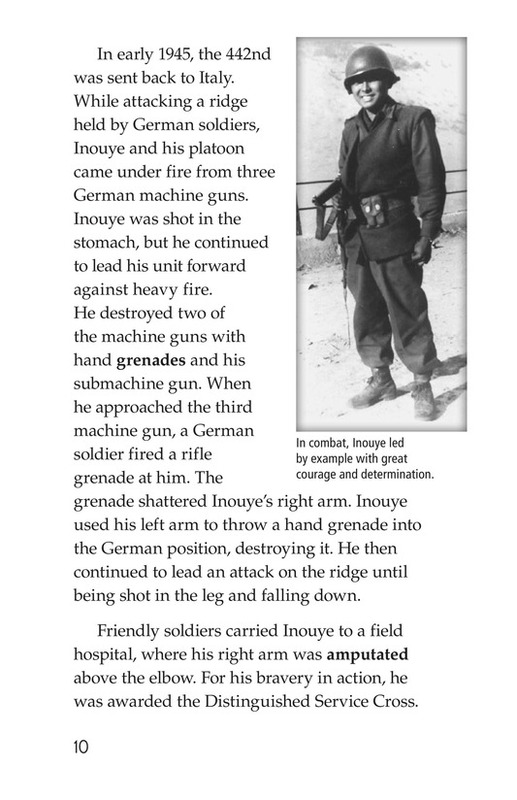 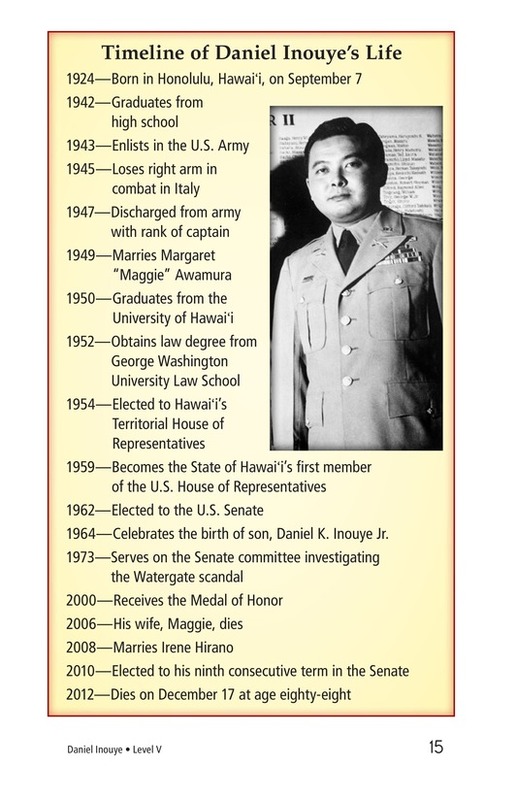 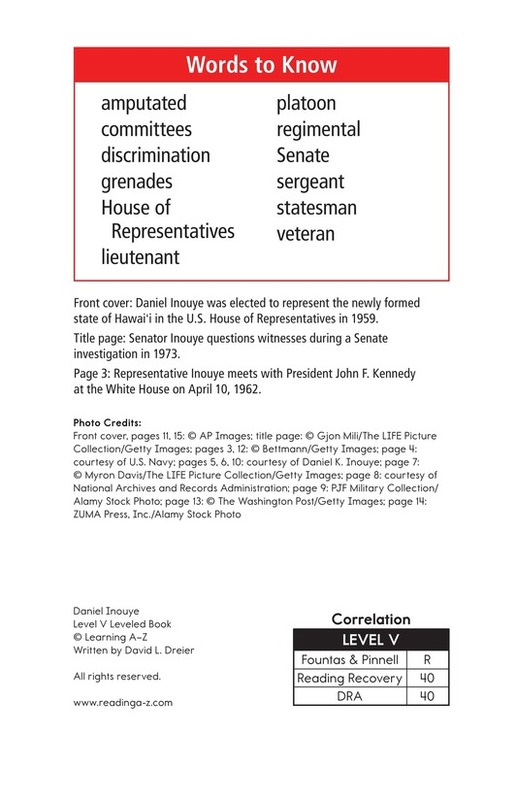 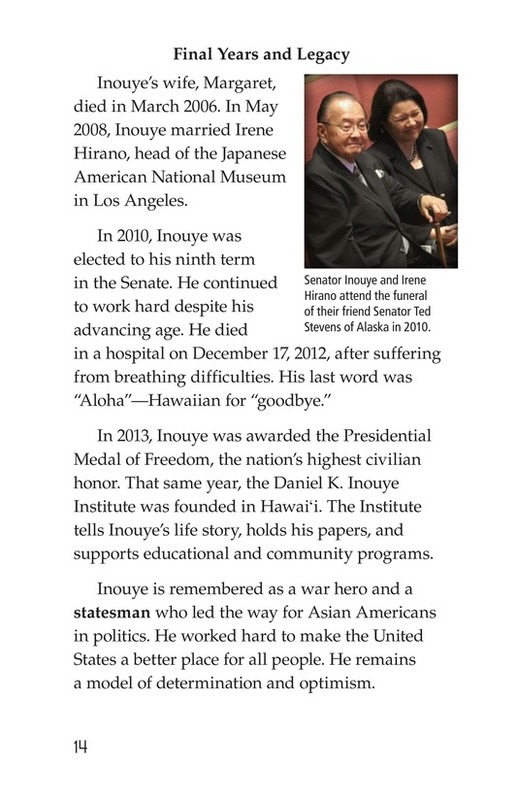 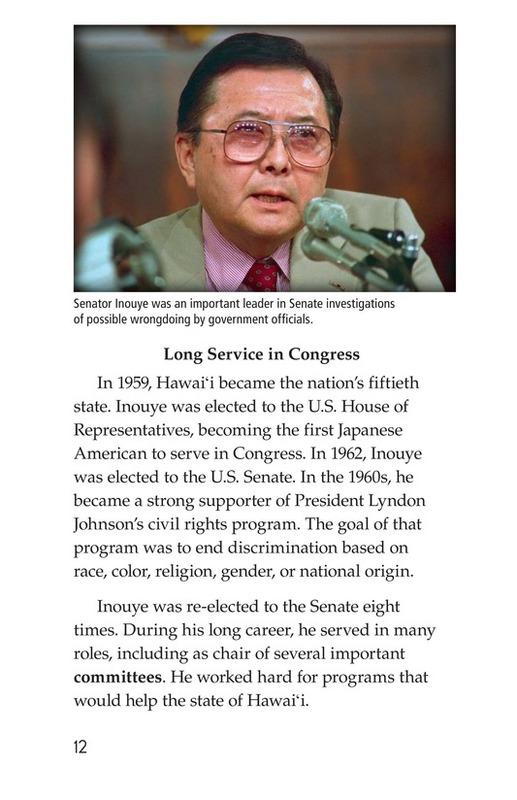 Daniel Inouye was a war hero, a politician, and a man who inspired many Americans. 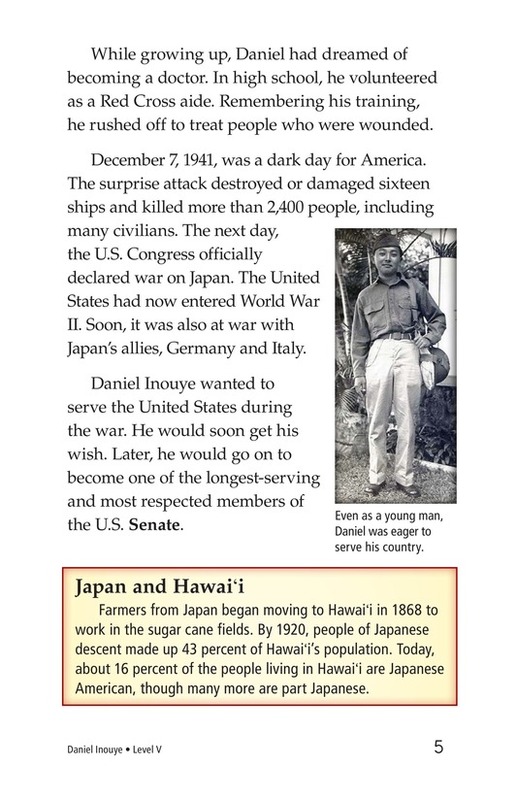 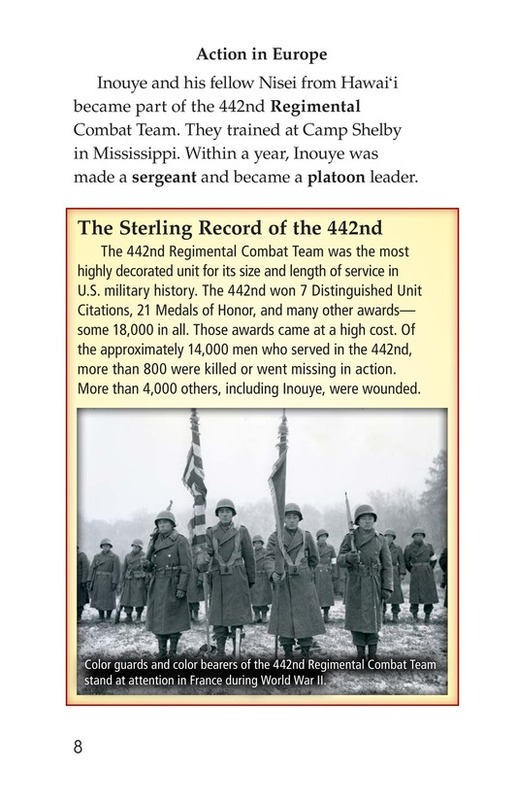 Despite facing discrimination and the dangers of war, he volunteered to fight in World War II. 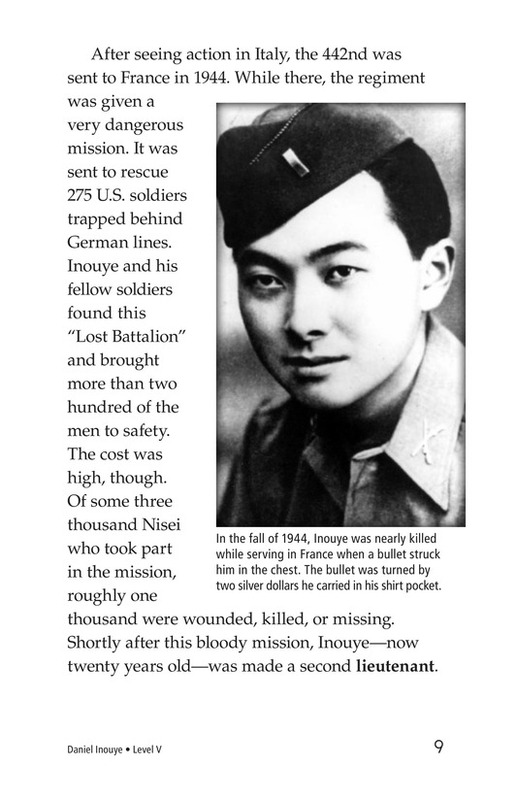 After being seriously wounded on the battlefield, he continued to fight for his country in his role in Congress. 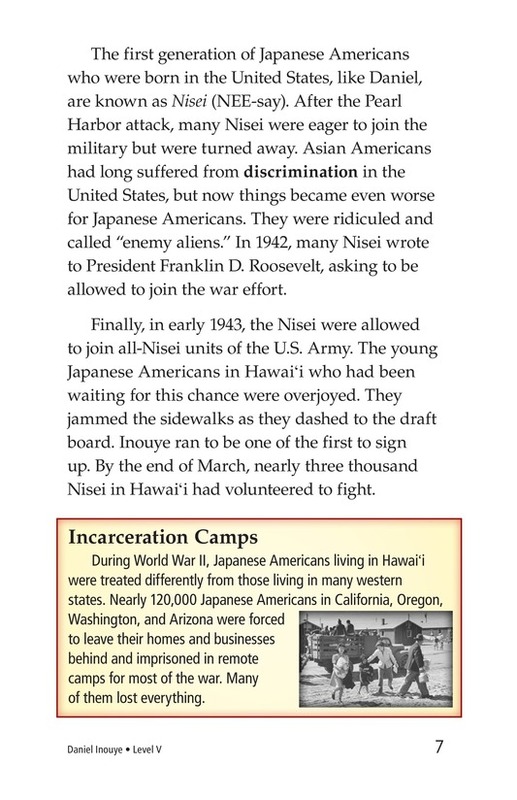 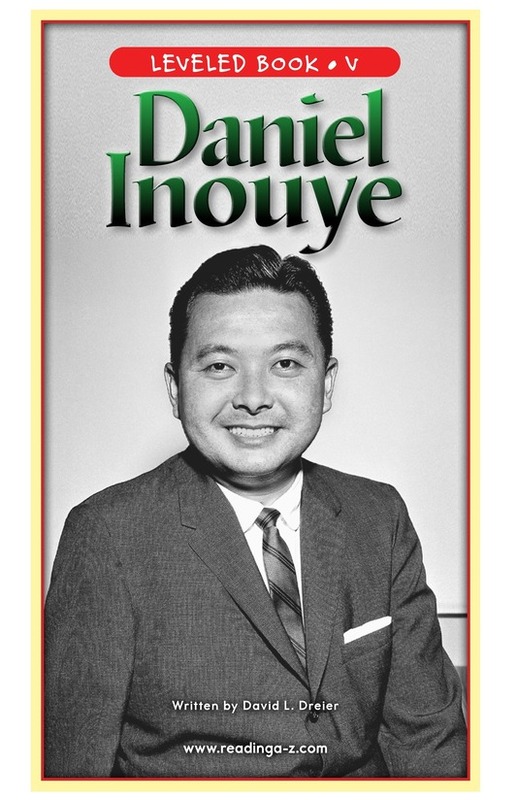 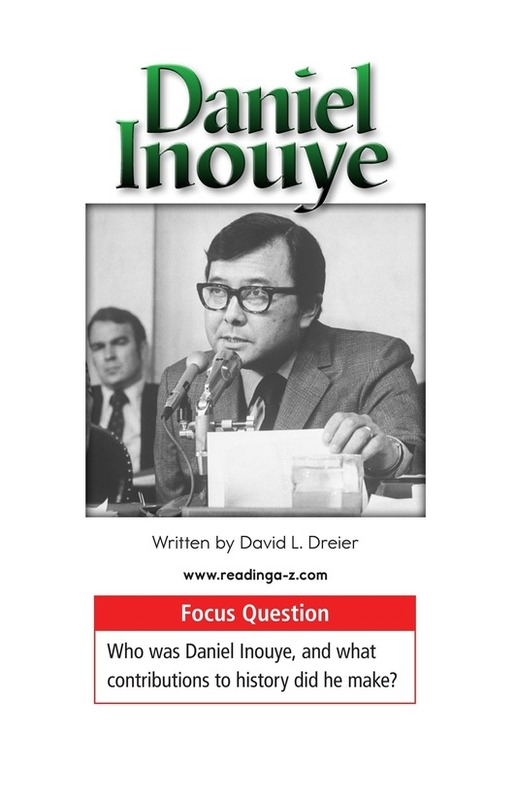 Daniel Inouye gives students a glimpse into the life of a man who changed American politics, not just for Asian Americans, but for all Americans. 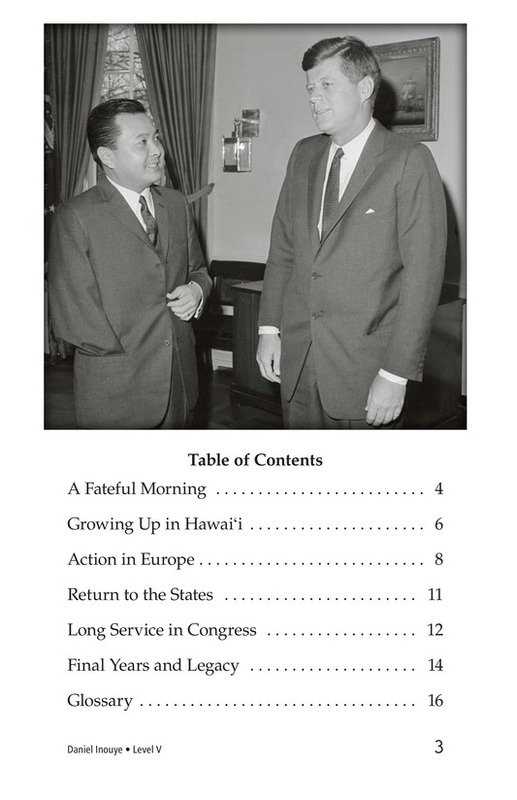 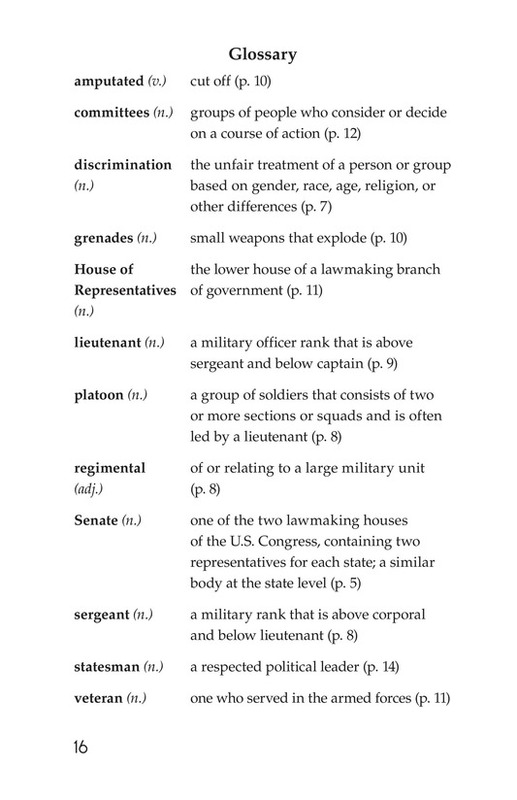 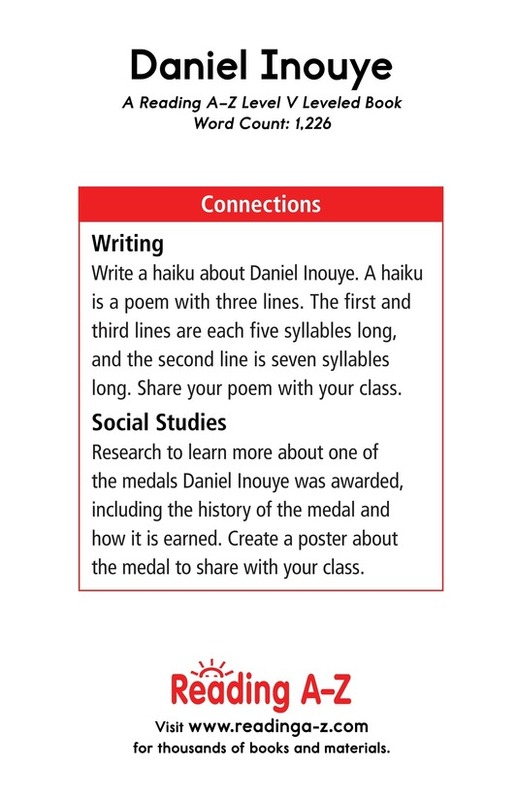 This book can be used to teach students how to determine elements of a biography as well as use various sentence types.